Karen holds a Masters degree in nursing and has practiced for over 30 years in the healthcare field. After a long career at a large teaching institution in Cleveland, Ohio, Karen decided to follow her skincare obsession and in 2016 began her aesthetician education at the Brown Aveda School. 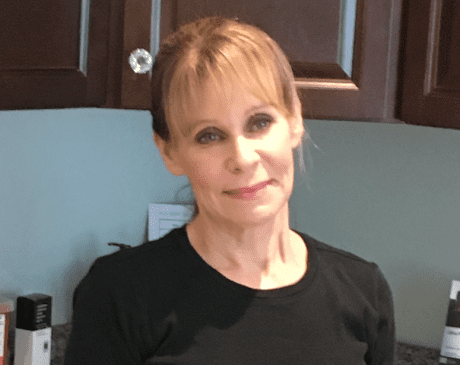 Karen has attained additional certifications in microdermabrasion, chemical peels, dermaplaning, microneedleing and other skin procedures and treatments. Karen incorporates Visia technology to capture key visual information for six areas affecting the health of the complexion including wrinkles, spots, pores, color variation, porphyrins (bacteria in the pores) and UV damage. In addition to skincare treatments, Karen is also experienced in body contouring procedures using radiofrequency devices by BTL Aesthetics, including the Exilis Ultra 360, the VANQUISH METM., and the Cellutone acoustic device. Karen enjoys teaching and partnering with clients to help them meet their optimal esthetic goals and to assist everyone she encounters look and feel his or her best.